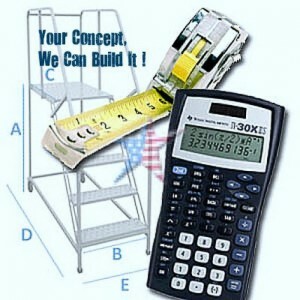 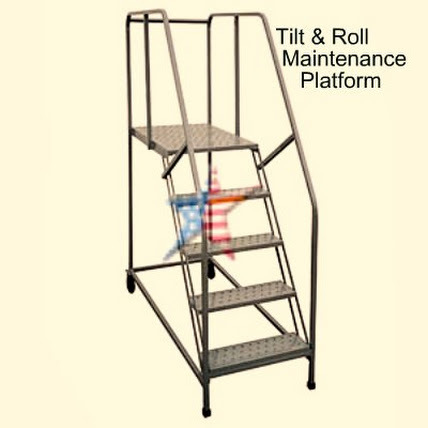 TILT & ROLL LADDERS are designed for quick and easy placement when a larger Industrial Work Platform is un-necessary. They provide a safe and stable elevated working surface for those hard to reach operations. 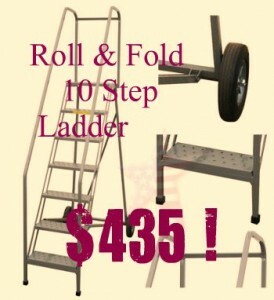 We can make these TILT & ROLL LADDERS wider, with a longer platform, and beefier too. 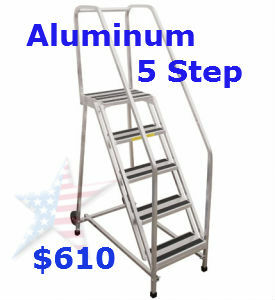 We can build these from aluminum or stainless too. 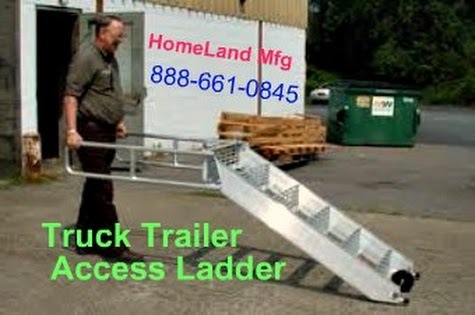 Platform depths from 21" to 56"
Professional Fabrication of Rolling Ladders, Cantilever Ladders, Custom Platforms, Maintenance Work Platforms, Courteous Phone Help !